Our web application provides daily fault detection and diagnostics (FDD), a real-time† historian, key performance indicators and much more. We support commercial buildings, campuses or entire organizations running BACnet or proprietary systems*. With Ecorithm’s, you have the ability to search and filter trends by easily navigable categories such as equipment and sensor type. Moreover, you can pan, zoom and isolate trends easily using the built-in explorer. Lastly, exporting trends as an image or a CSV file is one click away! 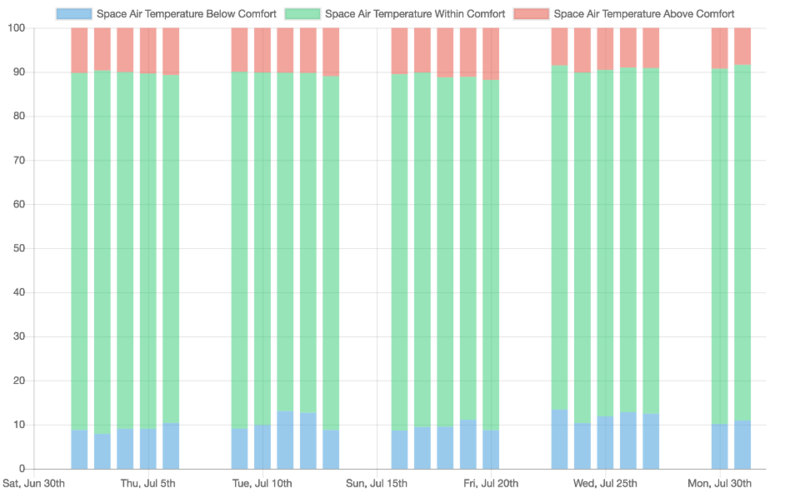 Ecorithm’s platform aggregates data into key performance indicators (KPIs) to help you understand your building's operation and comfort level, such as the Thermal Comfort Index (daily and hourly). 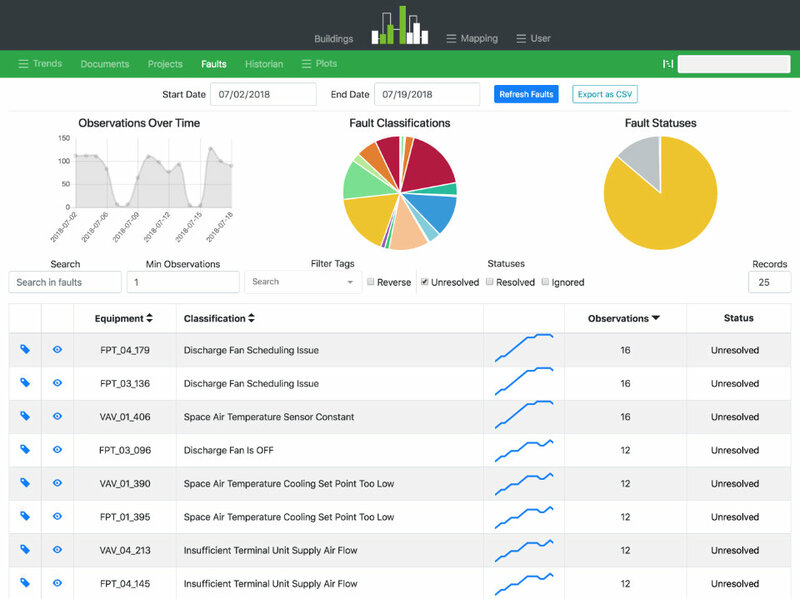 Ecorithm’s fault detection and diagnostics provide you with the insights to improve energy efficiency, increase comfort, and lower operation and maintenance (O&M) costs. Analysis is performed automatically and daily on data collected the past day using our proprietary PyRithm analysis package. 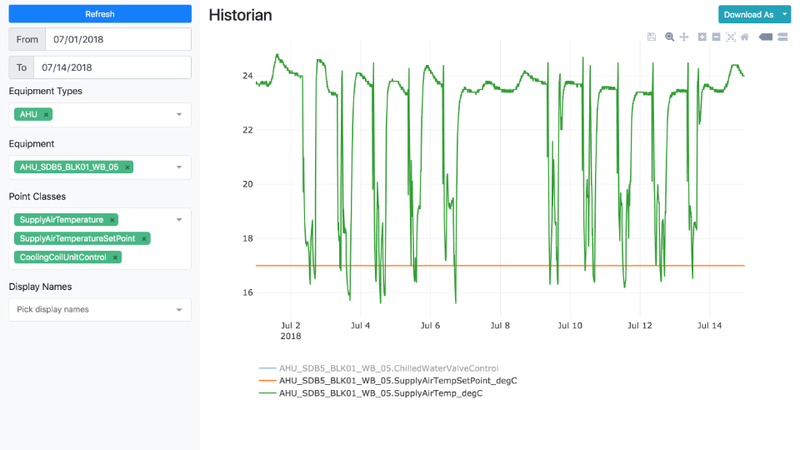 † Historian data is updated every 5 minutes for Building Automation Systems (BAS) using BACnet® over IPv4 (BACnet/IP) as physical layer or daily otherwise. * Support may vary according to your controls' vendor and BAS system.